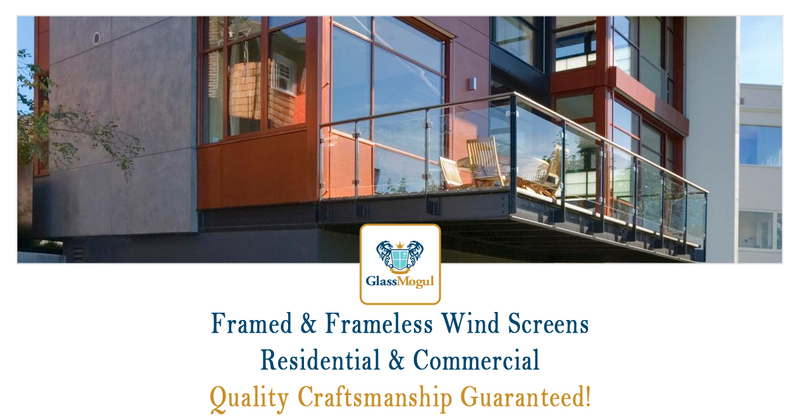 At GlassMogul we service, repair, install, and replace wind screens that come in all shapes and sizes for both residential and commercial applications. Our screens are available in fabric, metal, and glass options – framed and frameless. Applications include windows, porches, partitions, patios, and decks. Our wind screens are great for blocking gusts while giving residents and business owners more privacy. Count on our expert installers to get your wind screen project complete professionally, on time, and within budget. We install and repair C.R. Laurence Co., Genius, Phantom, RiteScreen, ScreenItAgain, and Tenax wind screens to name a few. We perform work on all brands and styles, regardless of how old they are. When it comes to installing new wind screens, we offer commercial, deck, fence, framed, frameless, outdoor, patio, porch, privacy, residential, and retractable wall options.